In January, I hosted the very first Feels Like Home Event and it was ABSOLUTELY AMAZING. This event has been such a dream of mine and it was so wonderful to see it all come together. My very favorite thing about photography is meeting people and being able to give them a glimpse of how wonderful their life is through my lens and the Feels Like Home Event did just that x10000. If you aren’t sure what the the event is all about, I’ll fill ya in (and you can also check out more details here: FEELS LIKE HOME EVENTS). This event was designed for lifestyle family photographers who are looking to push those creative boundaries, think outside the box, work with families and curate beautiful images. The Feels Like Home event offers photographers not only a chance to connect with other artists and local photographers, but a chance to practice posing, shooting and directing in a beautifully styled environment. So basically, it’s a family photographer’s dream come true. We had four amazing families at the event in downtown Raleigh in THE MOST amazing home. The photographers at the event are divided into groups so each and every photographer gets a chance to interact with the families and capture them in their own unique style. It is a perfectly relaxed environment to try out something new (maybe film!!) 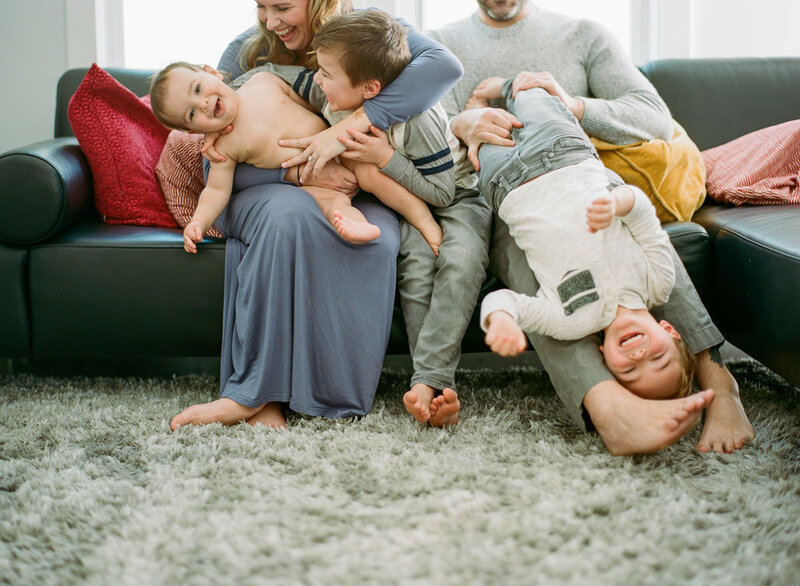 and think outside the box when it comes to family photography! Below are some of the images I was able to snap! It was such a wonderful time and I’m already itching for the next event (which is in late April in Charleston, SC). For more eye candy, check out these amazing images taken by one of the attendees at the event: Colie James Photography ! I would love to plan another event in NC for late fall, so if you are in the area and would love to join (or maybe you are a family who would love to volunteer to be a model family for us), just drop me a message! I would love to hear from you!